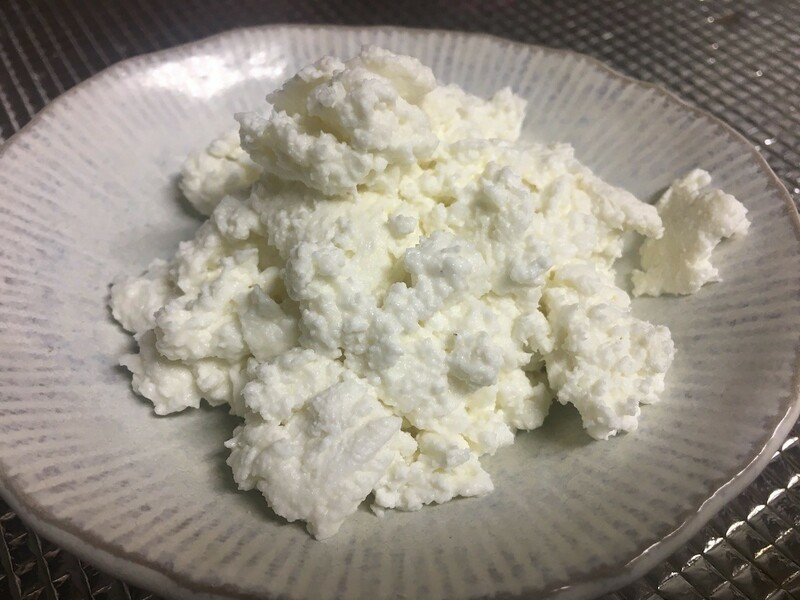 If you have a gallon of milk and vinegar, you can easily make this fresh cheese. This is a guide about making cottage cheese. 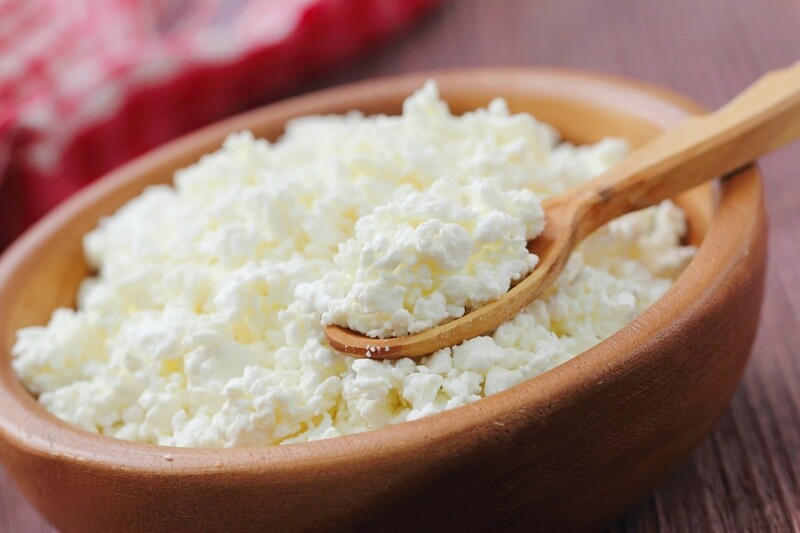 This is a quick and easy way to make cottage cheese at home without the use of starches or animal rennet. 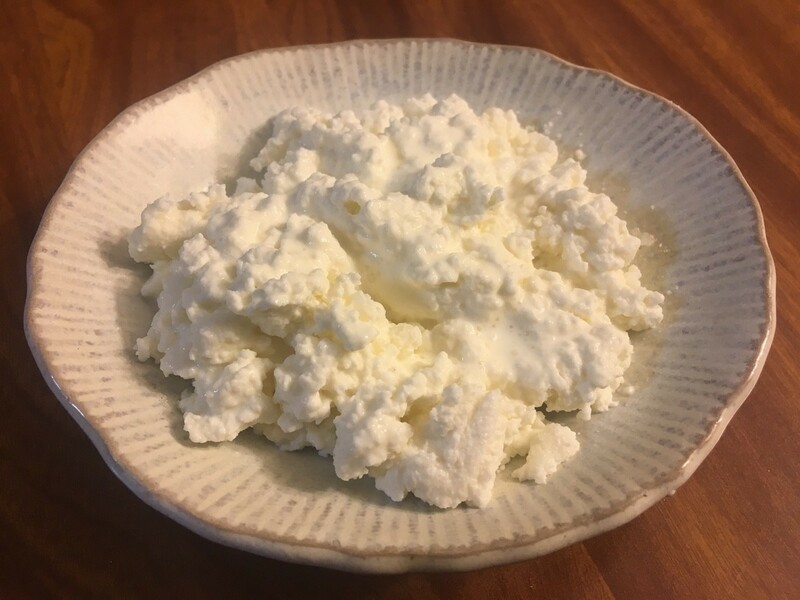 I just adore cottage cheese so I am making this constantly. The splash of heavy cream (or half and half) at the end is completely optional, but I find it takes it to the next level. Yum! Feel free to double this recipe to make two cups of cottage cheese. It multiplies well. I usually make use of the milk that is soon to hit its expiration date, as I did in this version. Pour milk into a large saucepan over medium heat. Bring up to 180 F. Stir while heating to keep milk from scalding. Remove milk from the heat and slowly pour in the vinegar. Stir it slowly for a couple minutes. The curds and whey will separate (if not, add some more vinegar). Cover and allow to sit at room temperature for 20-30 minutes. Pour the mixture into a colander lined with a tea towel and allow to drain for 5 minutes. Rinse with cold water, until the curds are completely cooled. Drain and squeeze well. Transfer to a bowl and add salt to taste, stirring and breaking up the curds. Add cream or half and half just prior to serving. You can make a really inexpensive cheese at home. I sometimes use this as cream cheese and sometimes as cottage cheese. Start with 1 gallon of milk. 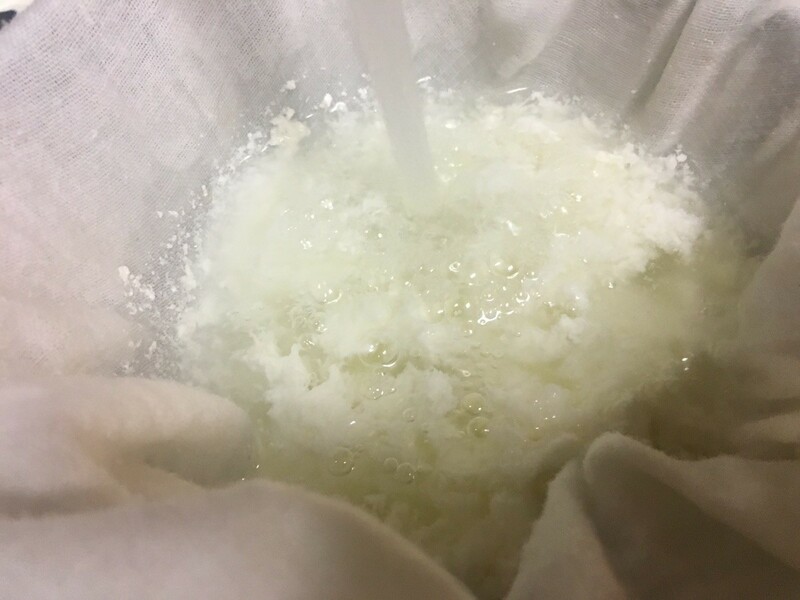 If it is raw milk from a safe source, you don't have to add a culture. If it is pasteurized, add a half cup or so of plain yogurt. Put the covered milk in a warm place for 1-2 days until it is clabbered like yogurt. Now put it in a large pan and pour boiling water over it. Put a dairy thermometer in it, and turn the burner on low, stirring until the thermometer reads 110 degrees F. Remove from the heat and let it stand about 10 minutes. Put it in a cheesecloth-lined strainer and let the whey drain off. You can save the whey and use it like milk for gravies or in baking. When the cheese is drained to the thickness that you want, you can add salt, seasonings, etc. I love it on toast! I think I'd better answer your questions, although believe me, it's easier than you may think. I wrote it vague because that's what it is. I usually clabber the milk in a gallon jar like a sun tea jar, but I don't know what kind of container you have. Just be sure it's closed so mold spores and dirt don't collect. As for how much cheese it makes, it varies according to the richness of the milk, but it's always over a pound. Whole milk makes the most and the best. The amount of boiling water is not something you measure. It depends on how much room you have in the pan when you pour it in, and how fast the thermometer goes up. You stir the boiling water in to mix it well. Then turn on the heat and bring it slowly to 110 degrees. If you get it to 115 you will get a firmer curd, which is better for some recipes. Sorry if this sounds vague, but it is not rocket science. I have never had it fail, and I'm not a chemist. It's not like traditional recipes that require everything to be so precise. The flavor is out of this world! Does anyone know if I can make cottage cheese at home? What about sour cream? thanks a lot. My grandmother made cottage cheese all the time. I don't remember exactly how she did it, but I do know it wasn't all that difficult. Good luck with this. I just saw Alton Brown on Good Eats make this. He said it was easy and delicious, and I am going to try it. Pour the skim milk into a large saucepan and place over medium heat. Heat to 120 degrees F. Remove from the heat and gently pour in the vinegar. Stir slowly for 1 to 2 minutes. 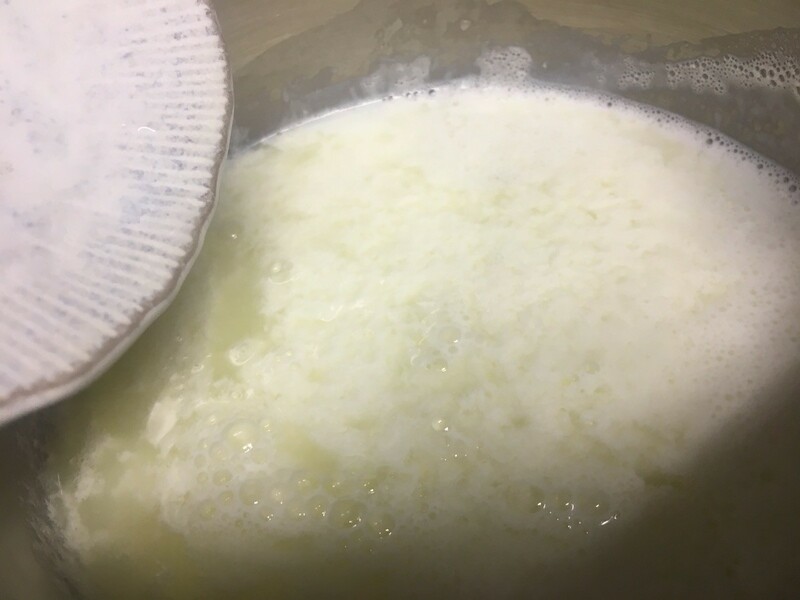 The curd will separate from the whey. Cover and allow to sit at room temperature for 30 minutes. Pour the mixture into a colander lined with a tea towel and allow to sit and drain for 5 minutes. 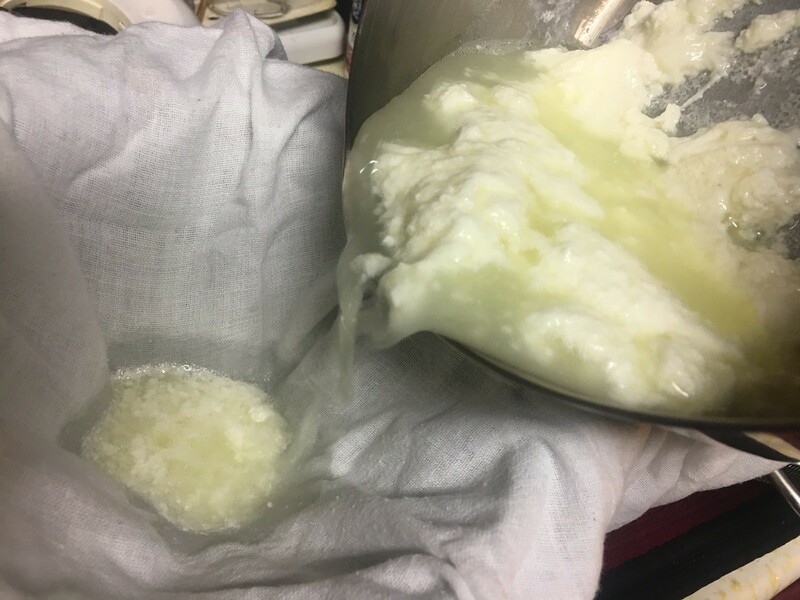 Gather up the edges of the cloth and rinse under cold water for 3 to 5 minutes or until the curd is completely cooled, squeezing and moving the mixture the whole time. Once cooled, squeeze as dry as possible and transfer to a mixing bowl. 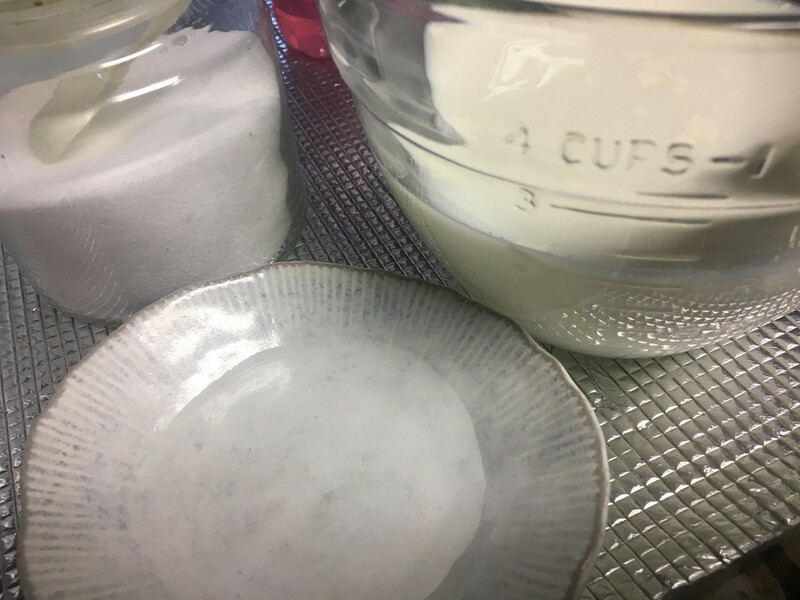 Add the salt and stir to combine, breaking up the curd into bite-size pieces as you go. If ready to serve immediately, stir in the half-and-half or heavy cream. If not, transfer to a sealable container and place in the refrigerator. Add the half and half or heavy cream just prior to serving. Recipe can be increased at the ratio of 1 T. buttermilk to 1 c. of cream. Mix all the ingredients in a bowl over warm water. Raise the temperature of the mixture to (68° to 70° F) and let it stand for 12 to 24 hours or until it is sufficiently sour and thick enough to cling firmly to a spoon. Keep in the refrigerator until you want to use it. 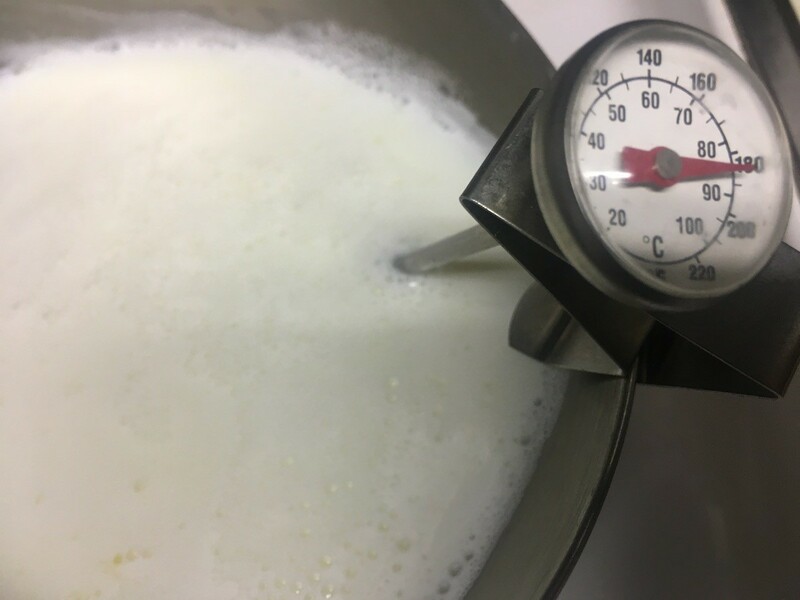 For a richer heavier sour cream combine 2 c. of pasteurized heavy cream with 5 T. of cultured buttermilk and incubate as before. For better texture refrigerate for 24 hours before serving.